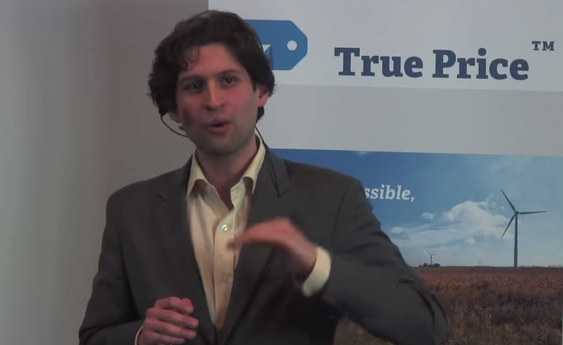 “The value creation of shareholders and society are becoming more aligned.” This was the main message of Adrian de Groot Ruiz, Executive Director of True Price, in his key-note speech at the Global Compact Netherlands meeting in The Hague on June 2nd (link in Dutch). The meeting was set up to bring together key-stakeholders of Global Compact in the Netherlands. The theme of the meeting was “True Value, Dignitiy and Dignity and Clearity”. The stressed that the collective interests of the many stakeholders facing relentless environmental and social challenges, make it inevitable that current externalities will ultimately be internalized by organizations and markets. Costs and benefits to society become costs and benefits of companies. Combined with increasing demands for transparency, this poses both risks and opportunities. Companies face a tipping point; they must invest in business models that foster integrated long term value creation, but their actions are still not trusted by stakeholders. This is why measuring, monetizing and managing externalities is becoming increasingly important. Against this backdrop, the True Value of business activities is becoming an increasingly important concept. True Value refers to the value that companies create considering not only the financial costs and benefits, but also costs and benefits for social, environmental and human capital. This entry was posted in Outreach, True Price, True Price Media.